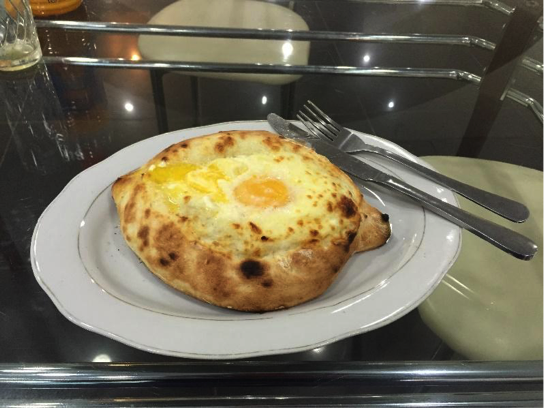 My taste buds tingled with delight as I tasted my first Georgian meal – the Adjarian Khachapuri. The Khachapuri is a boat-shaped pastry with egg, cheese and butter. My treat was as full with cholesterol as I was with anticipation for the myriad experiences that awaited me over my next few days in this Caucasian nation. 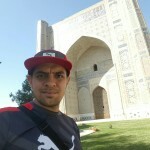 I travelled around the Central Asian countries of Georgia and Armenia with my brother, Craig, in July this year. 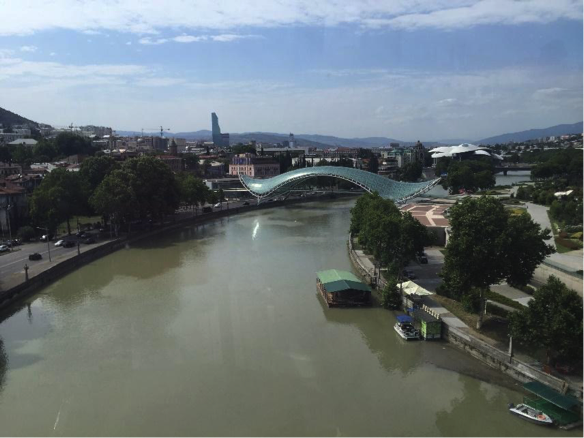 We decided to go off the beaten track and explore the area bridging Asia and Europe. We had very little knowledge of the region and didn’t know what to expect, which I have often found to be an advantage when travelling. At this point, all I knew was that I was going to enjoy the piping hot khachapuri sitting in front of me. Before I could take my first bite, a jovial Arab customer greeted me in Arabic. “Assalamualaikum!” he said. I grinned as once again, my dark complexion and bearded visage had worked as a Sherlockian disguise. I returned his greeting and told him that I’m actually an Indian from Singapore. He replied with a compliment about Mahathir’s great leadership and friendship with Dubai. I told him once again that I’m from Singapore. He replied that the Petronas Towers are very tall. Then he got up and paid for my meal. I had not expected my first conversation in Georgia to be with an Arab man. But the ethnic diversity in the Georgian capital of Tbilisi should not have been a surprise to me at all. Historically, Georgia has been a transit point for the many ethnic groups that traversed the Silk Road from China to the Mediterranean Sea. In the age of empires, it was the object of rivalry between the Persians, Ottomans, and Russians. Today, the country is still the meeting point of different cultures. 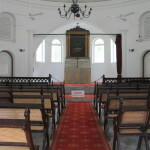 Besides the Malaysia-loving Arab tourist, I got to know an Iranian lady who co-founded the hostel I was staying in, and gave directions to Israelis looking for the synagogue. But the most profound moment of my entire trip was in the departure hall in Tbilisi Airport, when I realised that Israelis, Iranians and Emirati Arabs were standing right next to each other at adjacent departure gates for flights to Tel Aviv, Tehran and Sharjah! After my free lunch, which I’ve been told doesn’t exist in this world, I set out to explore Tbilisi by foot. I didn’t have a map, but I could easily connect to the city-wide free Wi-Fi with the network name “Tbilisi Loves You”. 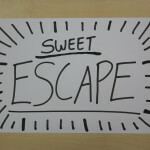 How lovely to receive such a heart-warming welcome from the city’s network provider! 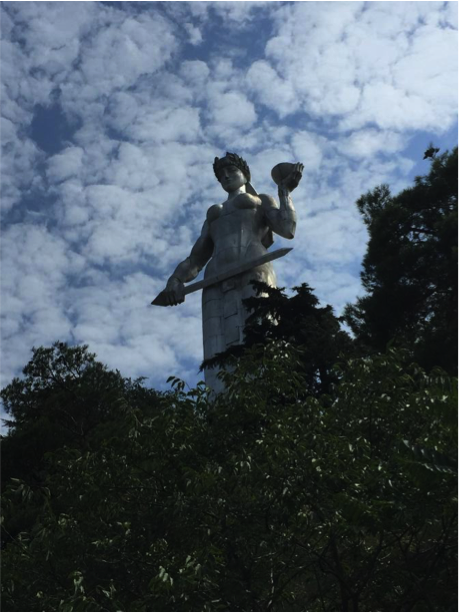 As I walked down Rustaveli Avenue, the main avenue of the city, I noticed several well-known brand names like Burberry, Coffee Bean, Dunkin’ Donuts, and Wendy’s. I saw modern steel-and-glass buildings sprouting out of the ground in several parts of the city. Georgia has achieved solid economic growth since its independence from the former Soviet Union in 1991, which is impressive in light of its rocky relationship with Russia. After 1991, Georgia lost access to cheap energy that it enjoyed under Soviet rule, and the Russian oil company Gazprom continued to raise the price of gas supplied to Georgia in the 2000s. Russia also supported separatist groups in South Ossetia and Abkhazia and formally recognised the two regions as independent republics in 2008, which led to a full-scale war with Georgia. 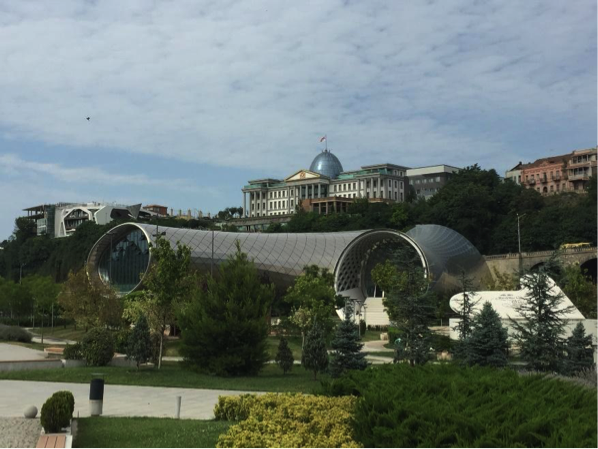 But as I walked around, I saw signs of rapid development in the form of modern architecture, like the imposing Presidential Palace, the iconic Peace Bridge, and the wacky Concert Hall and Exhibition Centre in Rike Park. I learned later on that such signs of development must not be taken at face value – the concert hall was completed in 2015 but it remains empty and locked up. 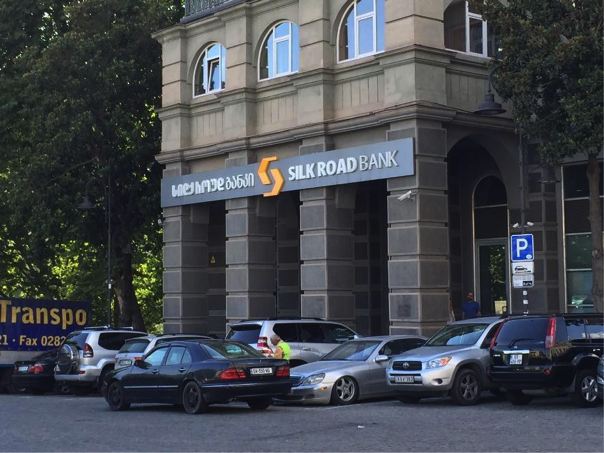 While the World Bank named Georgia the world’s number one economic reformer in 2007, and has ranked the country near the top of the “ease of doing business index”, I was also told that poverty is still a big problem outside Tbilisi. I realised that this tension was a common theme in my brief stint in Georgia. While the country is still at war with Russia, which is occupying South Ossetia and Georgia in violation of international law, souvenir shops are filled with “Georgia <3 Russia” mugs and magnets. 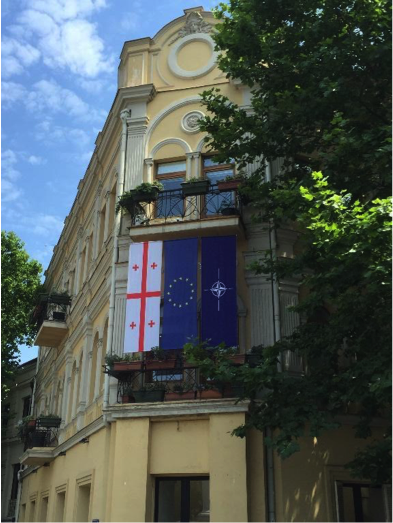 I suppose then that there is a remnant of Russophilia in the country, but this stands in contrast to the NATO and EU flags that I saw on Rustaveli Avenue – not to mention the conspicuous sign in Tbilisi Airport with the words “Welcome to Georgia! EU Associated State”. The clearest example of this duality is Tbilisi’s urban landscape, which integrates Georgia’s centuries-old heritage with its future aspirations. Walk a short distance from the Peace Bridge and you’ll find the ancient sulphur baths that give Tbilisi its name (Tbilisi means “warm location” in Old Georgian language). 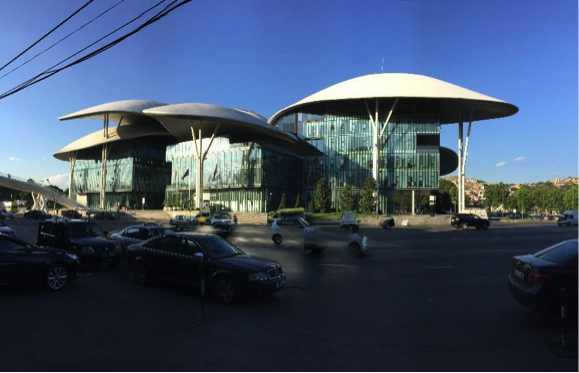 Walk in the opposite direction and you’ll come across the Public Service Hall, which is innovative not only in its design but also in its function as a one-stop shop for about 400 administrative services. Look up to the hills and you’ll see the ancient Narikala Fortress, which was originally called Shuris-tsikhe (“Invidious Fort”) but renamed Narin Qala (“Little Fortress”) by the Mongolians. Standing guard near the fortress is the statue known as the Mother of Georgia, who holds a bowl of wine to welcome friends and a large sword to ward off enemies. The most magnificent blend of ancient and contemporary can be found in the Sameba Cathedral, which was built only 12 years ago as the crown jewel of a 1700-year old religious order. 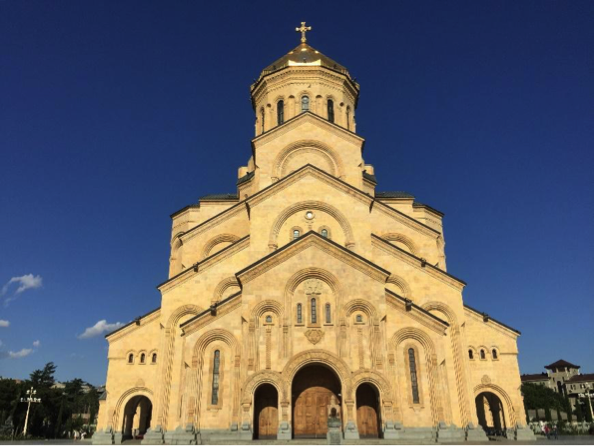 This behemoth of a building is the largest Georgian Orthodox Church in the country and represents the influence that the church still wields in the country today. The church occupies a prominent position not only in the political sphere but also in the hearts of many Georgians. For the first time in my life, I saw several people genuflecting while casually walking by a church on Rustaveli Avenue. It reminded me of the time my driver in India took his hands off the wheel to bow in reverence to a temple. 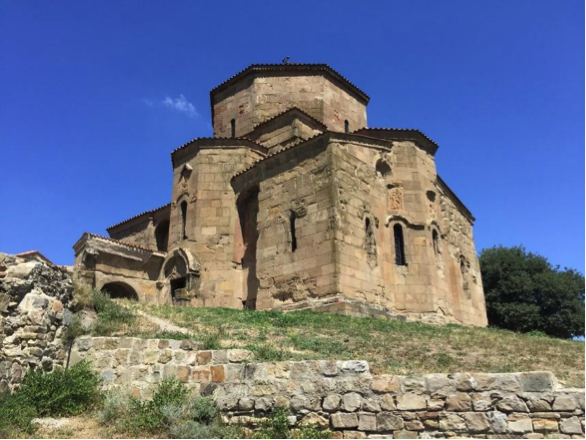 While Sameba Cathedral is the grandest of churches in Georgia, I was more impressed by the churches I saw in Mtskheta, some of which are literally a thousand years old! The Svetitskhoveli Cathedral, for instance, is a colossal structure – a close second to the Sameba Cathedral, but built without modern construction tools. 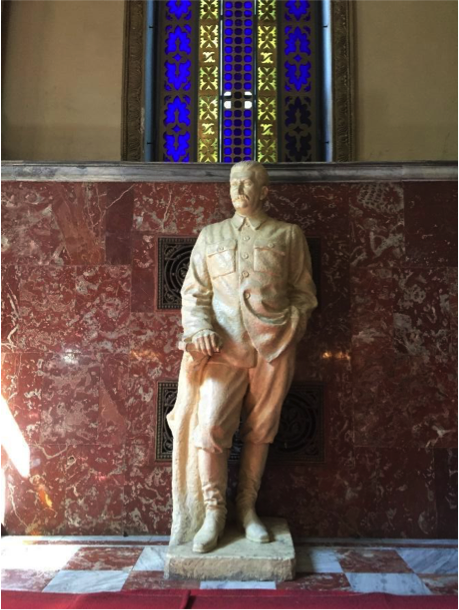 In contrast with our experience in the churches of Mtskheta, Craig and I travelled to the small town of Gori, infamously known as the birthplace of a man who despised the church and suppressed it with an iron fist – Josef Stalin. Gori is a fascinating case study for Sovietologists. While most of the country (and the world) despises Stalin, many inhabitants of Gori are proud that such a powerful and influential leader emerged from their city. In fact, there is even a museum dedicated to Stalin in Gori. The Stalin Museum exhibits iconic portraits and photographs of Stalin during his early life and long political career, gifts and tributes that Stalin received from other world leaders and communist party chairmen, and even his armoured train carriage. The gulags and mass murders were mentioned during the tour, but only as a footnote. We decided that it was best to avoid buying the Stalin mugs and T-shirts available at the gift shop. 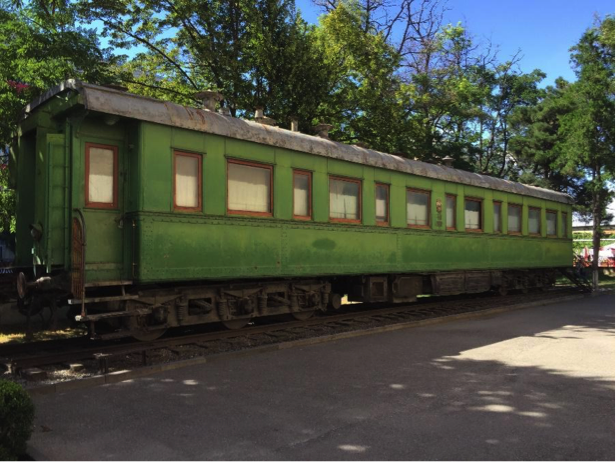 Thankfully, there are other relics of the Soviet period in Georgia besides Stalin’s train carriage. Speaking of trains, the Soviet-era metro stations in Tbilisi are an interesting sight to behold. The stations are so deep underground that I wondered if the metro ticket covered the escalator ride as well. At the end of my descent, I saw a dull, featureless metro platform – it was actually quite depressing. 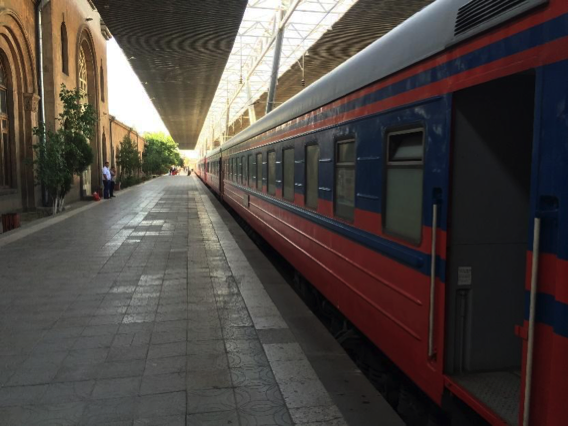 On the other hand, the train journey from Armenia to Georgia was completely different. Unlike the metro, those quaint Soviet-era trains have character. It also helped that Craig and I were the centre of attention as the only two Asians on board. Of course, the friendly Georgian passengers didn’t know that and greeted us in Arabic. An old couple also generously offered us sunflower seeds, chicken, beer and vodka. Once again, the duality was striking! 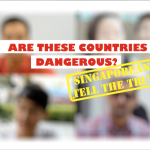 I have many other unique experiences to share, but I won’t spoil the fun for other intrepid Singaporeans who will hopefully travel there! I had such an unforgettable experience there that Georgia is literally on my mind. 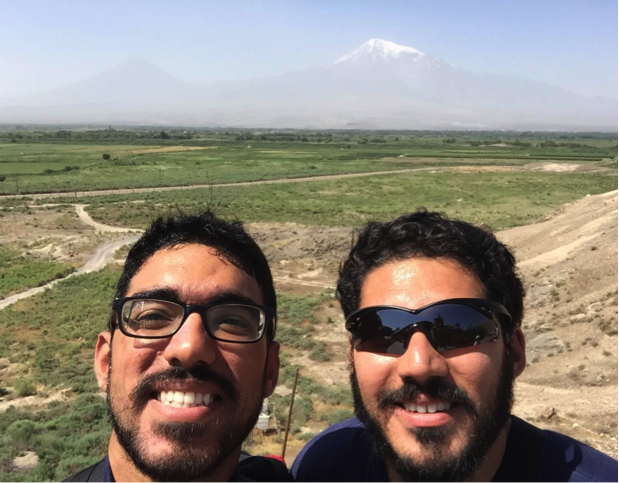 If you liked his story, do check out his other adventures such as his train ride from Armenia to Georgia and his views on why Israel is extraordinary! Hey! 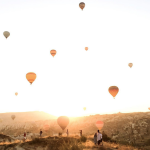 thanks so much for your review, I am planning a trip to Georgia and Armenia this summer and basically hope to visit all the sites you mentioned and take the train between the two cities. Also, I’m not sure about “Russo-philia”, but there are many ethnic Russians who are natives of Tbilisi and Russian-nationals are still one of the biggest tourist groups in Georgia. 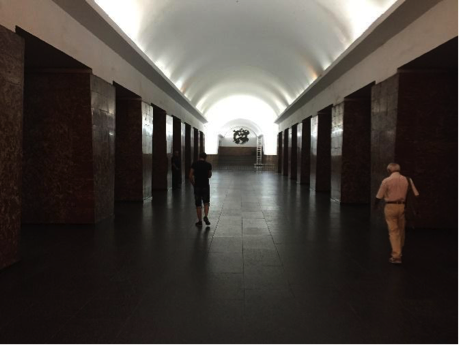 Also, I personally love Socialist Modernism, but those Metro stations are not lit well enough.